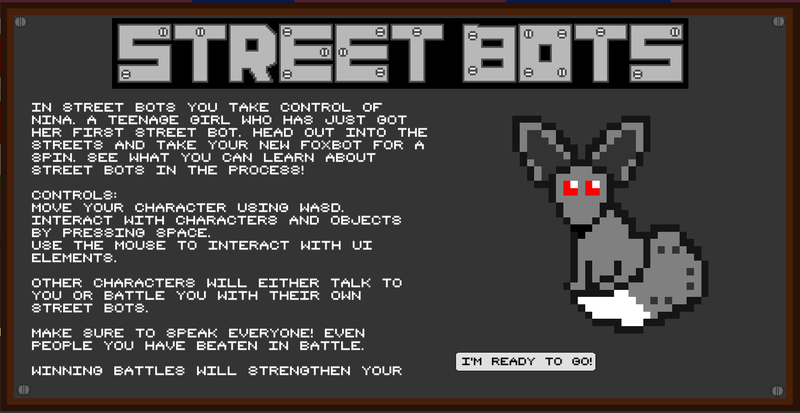 Street bots is my submission for the 5th Kajam with the theme "Retro". 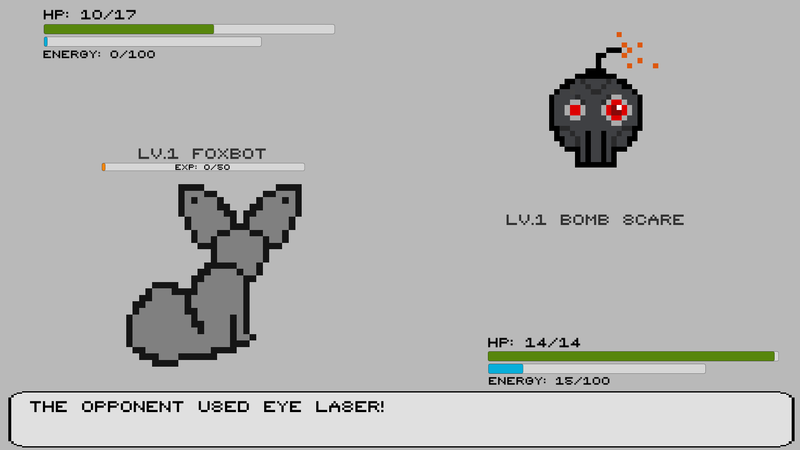 Street bots is a 2D rpg inspired by pokemon. 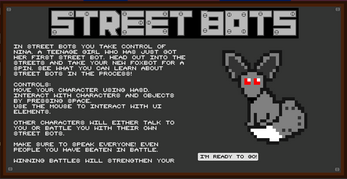 Entering a world of street-fighting miniature robots, the player takes control of a teenage girl and her very first foxbot. Explore the town, battling and learning about street bots in the process. 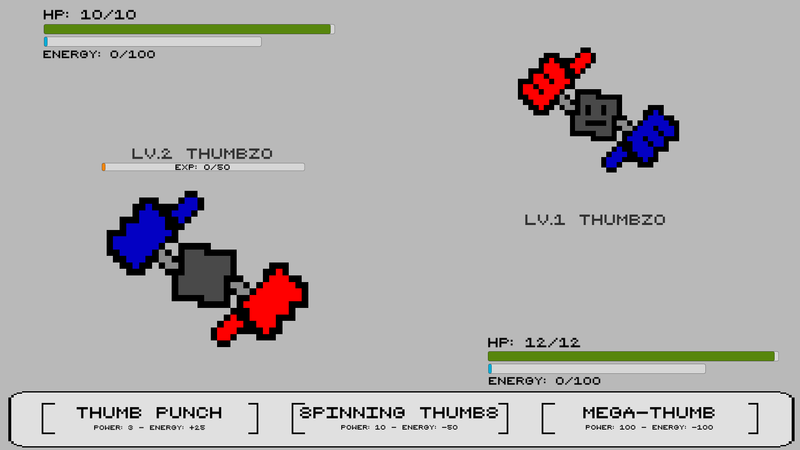 With a large number of NPCs to speak to, opponents to battle and three playable bots to collect there are a multitude of different features to explore. Deciding to take part in the 5th Kajam late, I joined the month long event just 10 days before the final submission date. Despite my productivity taking a huge hit for several days due to a nasty illness I am still very happy with what I produced. 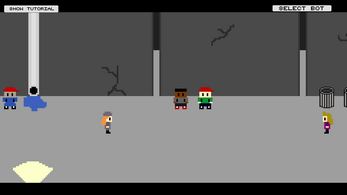 I created this project entirely solo. 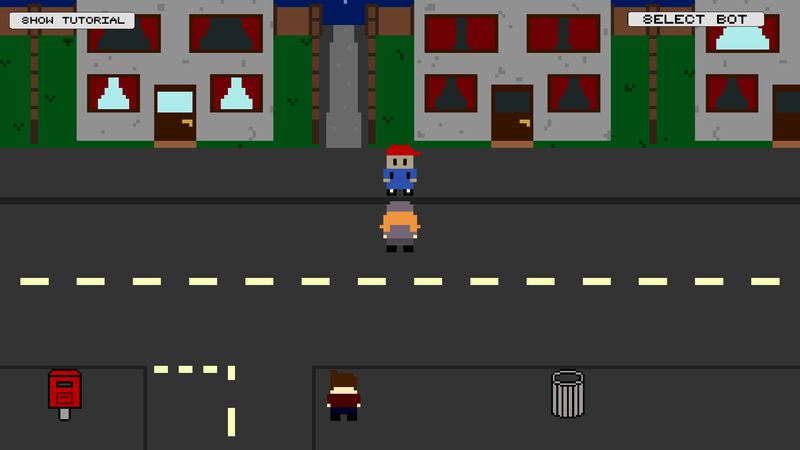 Graphics created in Piskel and GraphicsGale. 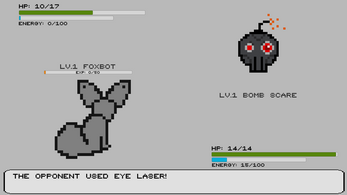 Awesome game! Great job and super nice pokemon feel. I dig it!